Please click on the following link to access for our monthly newsletter Wellcare Monthly which includes information on current programs and services, plus healthy living tips. Please click on the following link to subscribe to our e-news Wellness Wire which will be delivered conveniently each week to your email inbox. 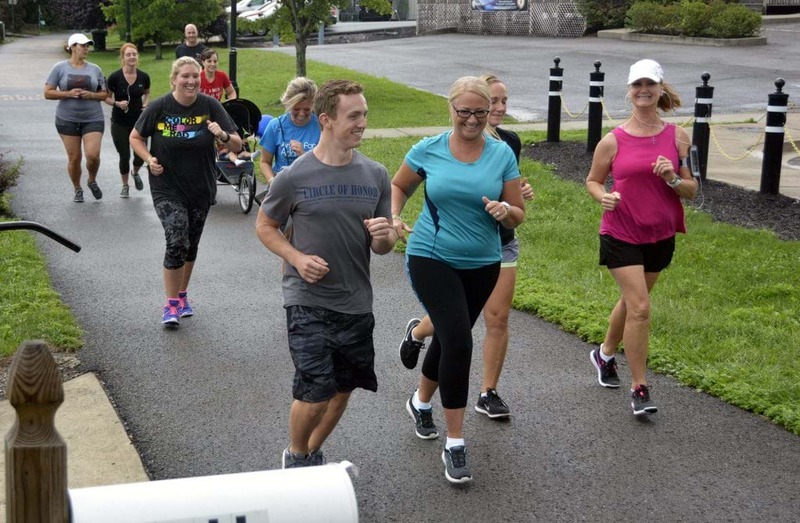 All WVU employees have the ability to earn Wellness Points which are worth discounts off the cost of nominal fee, year-round programs and services such as yoga, Zumba and boomercise classes and wellness coaching. Please click on the following link to fill out a Wellness Points Form to earn wellness points. Please send your completed form via fax 304-293-3725 or email wellnesscenter@hsc.wvu.edu or campus mail to the Wellness Center at P.O. Box 9146. Please click on the following link for more information on our current Wellness Classes being offered. The current class schedule and also the registration form will be listed there which every employee will need to fill out and send to the Wellness Center. Classes only cost $3.00 with Wellness Points! Walk 100 Miles in 100 Days® is an annual program that encourages participants to develop the habit of walking at least one mile a day as a form of exercise. The program typically runs from April through July and includes a commemorative t-shirt participants can purchase at a nominal cost.